Nissan got bold on Tuesday afternoon by announcing plans to build and, more notably, sell an affordable self-driving car by 2020. And when Nissan say affordable, it means it. The company estimates the cost of upgrading a luxury sedan to a luxury autonomous sedan will be just $1,000. This is a bold move for a few reasons, the most exciting of which is that Nissan will probably pull it off making it the first car company in the world to sell a self-driving car. As CEO Carlos Ghosn—who was supposed to make the announcement personally at a press junket but cancelled—explained, Nissan has done this sort of thing before. 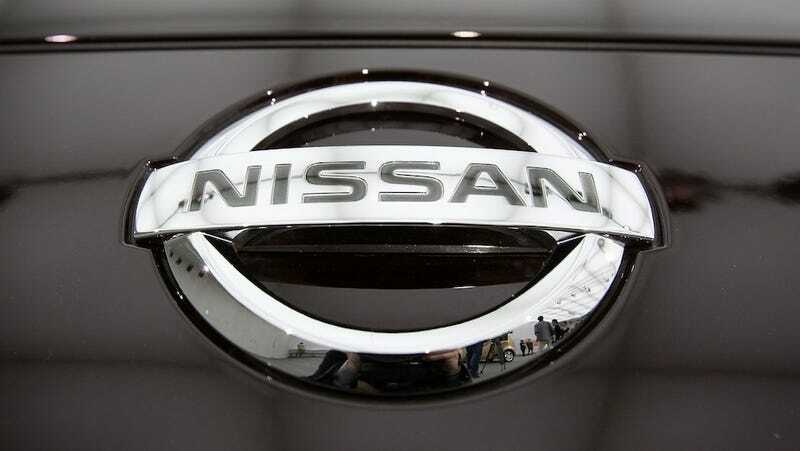 "In 2007 I pledged that—by 2010—Nissan would mass market a zero-emission vehicle. Today, the Nissan LEAF is the best-selling electric vehicle in history. Now I am committing to be ready to introduce a new ground-breaking technology, Autonomous Drive, by 2020, and we are on track to realize it." Nissan isn't bowling alone on this one. Researchers from Stanford, MIT, Oxford, Carnegie Melon and the University of Tokyo are all pitching in to develop the technology. Nissan has also built a track in Japan, where they'll simulate everyday driving conditions in order to test the self-driving cars. It should be noted that this isn't just improving existing features like automatic breaking to avoid collisions. The cars will be fully autonomous, not unlike the self-driving cars that Google's been parading around the world these past few months. Speaking of Google, Nissan's announcement comes just a few days after a report on the search giant's plans to mass produce its own self-driving cars. Evidently, Google had trouble forging a partnership with major car manufacturers (like Nissan) to build the fleet so it's now in talks with parts makers to build the vehicles itself. However, there's still no indication from Google if or when it might bring the self-driving cars to market. Ford, Toyota and General Motors, meanwhile, are working on their own self-driving technology but haven't gotten past the concept stage.